Phoenix, AZ – August 31, 2017 – ABI Multifamily, the Western US's leading multifamily brokerage and advisory services firm, is pleased to announce the $1,800,000 sale of 0.83 acres in Downtown Phoenix. Patrick Burch, Vice President at ABI, representing the Seller in the transaction notes, "This is quickly becoming a very dynamic part of downtown Phoenix with the success of Alta on Fillmore, the large City of Phoenix RFP property (both on the same street), and the opening of the already popular Van Buren music venue a short walk from the property (less than 1/8 of a mile). The buyer also purchased the property next door to add to his development." The Seller is a private investor based in California. The Buyer is a private multifamily/single family developer based in California. 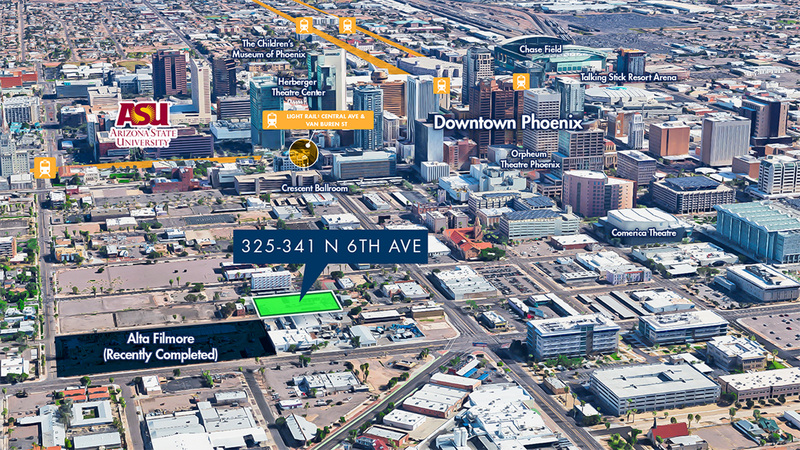 Phoenix based ABI Multifamily team of Patrick Burch, John Klocek, Eddie Chang, Ryan Smith, Royce Munroe and Nathan Bruer represented the Seller in this transaction.